The fly-tipping in North Shields. A Wallsend man has been handed a fine of more than £1,000 for failing to give the name of someone who fly-tipped in North Tyneside. North Shields Magistrates Court ordered the 23-year-old to pay the fine of £1,000, plus £275 in costs. 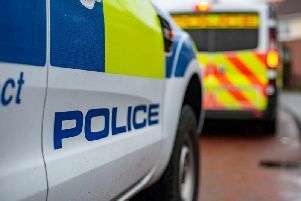 Using a vehicle belonging to the man, two people dumped two sofas, two mattresses, a fridge, two office chairs and five wooden pallets in an area of North Shields. Enquiries led North Tyneside Council to the man, using DVLA vehicle checks, and officers served a notice requiring him, as the registered keeper of the transit van, to provide information about the driver of the vehicle at the time of the offence. And after he refused to do so, the council took the man to court. Colin Boxshall, community protection manager at North Tyneside Council, said: “We work extremely hard to make sure the borough is clean, safe and well-maintained and we will not allow a minority to spoil it. Fly-tipping is completely unacceptable and can blight communities. To report environmental issues to the council, visit www.northtyneside.gov.uk or call 0345 2000 103.